Soon I will be flying out to South Africa to film alongside an incredible group of warrior women – The Black Mambas of The Balule Nature Reserve, a stone’s throw from Kruger Nature Reserve on behalf of amazing Rhino Charity Helping Rhinos. I am extremely excited as these women are changing the face of conservation as we know it. The female anti-poaching team have been actively patrolling since 2013, clearing thousands of snares and confronting poachers head on. Bravery which is astounding and one which touches me square in the heart, as it is incredible when the individuals in society rise up to take control of a situation which is clearly out of control. The Black Mambas protect the critically endangered black rhino, as well as the endangered white rhino, they clear countless snares which have been set up for catching game for the notorious bush meat trade and also teach locals about wilderness preservation. Each Mamba rotates on a 21 day shift so the reserve is constantly monitored. The ladies protect the BIG FIVE: Rhinos, Lions, Leopards, Buffalo and Elephants. This job usually falls to men and this is why The Mambas are so unique and incredible, as this position of absolute responsibility has now swung almost entirely into the hands of some very strong and driven women in The Balule Nature Reserve. Being myself a female film maker and conservationist, I love to see women in positions of great responsibility saving the planet’s animals and feel that these ladies are really going to become strong icons for change across the world. Each woman has a story to tell and all come from under-privileged backgrounds. The Mambas survive on what little funds are given to them and many have families to support on top of their duties. In some instances, these women are the only breadwinners of their families. Since the Mambas have been active, the number of snaring and illegal bush meat incidents have dropped by 75%, also nine poachers were detected and arrested off the back of the Mambas patrolling. According to the United Nations, not a single rhino has been poached in ten months, while other reserves have lost around two dozen. 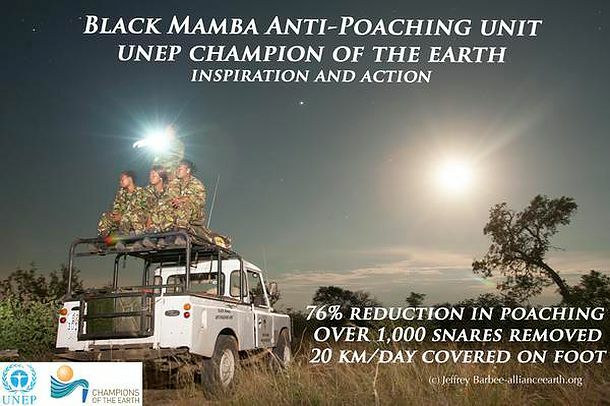 The Mambas efforts were recently recognized by the United Nations who awarded them the much-deserved 2015 Champion of the Earth Award. The Black Rhinos numbers were absolutely critical at the last count and no more than 2500 were accented for. The white rhino, on the other hand has made a small recovery, but the numbers poached are still catastrophic. They are poached for their horn, which has a street value higher than cocaine in Asia, as it is still believed by many to be a cure for diseases such as cancer. Seems totally ludicrous and sad for a material which has the exact same composition as our human nails, keratin, to be responsible for the annihilation of one of the worlds most incredible animals. What attracts me most to these amazing women is that they are setting a precedent to others to follow in their footsteps. If it’s going to take YEARS for governments to get their act together on rhino horn legislation, then it’s time for the individuals to step up and take control. 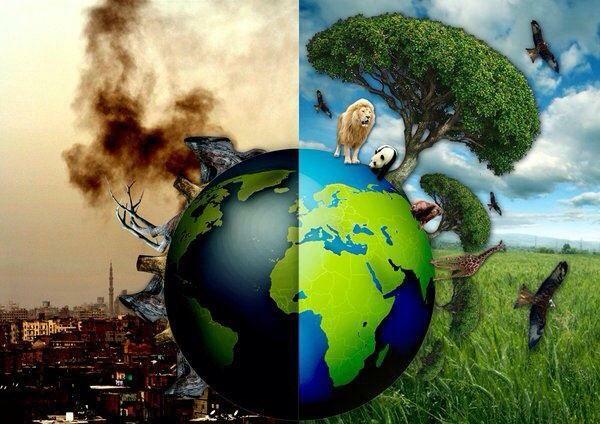 We have lost over 50% of the world’s land and sea life in the last 40 years and we are predicted to lose the rest in the next 40 years, so time is of the essence. We need to act now, whether this comes in the form of teams like The Black Mambas getting up and making a stand, charities coming together and working as a ‘combined team’ and the individual person at home realising that they have more power than they think – whether it’s through protest, writing to your MP’s or even quitting your job and getting out as a volunteer with some of the incredible conservation projects out there. Perhaps you could produce a conservation film which will MAKE change like I am passionate about doing. All of the above will help in our fight to keep wildlife where it should be, in the WILD and not in zoos. It would be terribly sad if the only place we would be able to see these magnificent creatures in 30 years time is a zoo. To donate towards my conservation film, please click below on The Just Giving Box. I am almost 50% funded for the travel costs. It is 100% non-profit film, with funds only covering flights and accommodation on site. The film will be made by Image Impact Films and produced by the renowned Nigel Marven who has previously worked alongside David Attenborough.